Over the years, flat screen TVs have become a quick replacement for the large square TV sets we all once had. These smaller and lighter TVs have made many of our TV stands nearly obsolete. 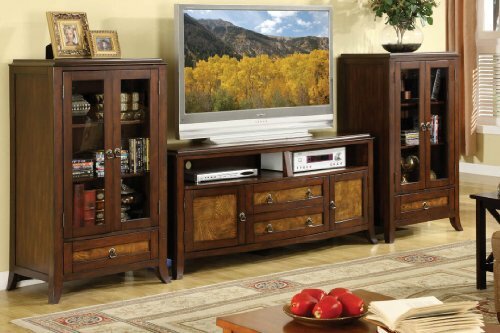 However, entertainment armoires can still be a great furniture option for people looking for the perfect place to house their TV and other equipment. More than just a stand, entertainment armoires can be stylish and practical. If you’re looking for the perfect addition to your living room or bedroom, one of these items could be exactly what you need. Here are 10 entertainment armoires for your home. Made to hold more than just a TV, this item is the perfect piece of furniture to provide your living space with sophisticated storage. This entertainment armoire is stylish and modern boasting “four velvet-lined drawers with smoked mirror panels and chrome hardware with Crystal insets”. 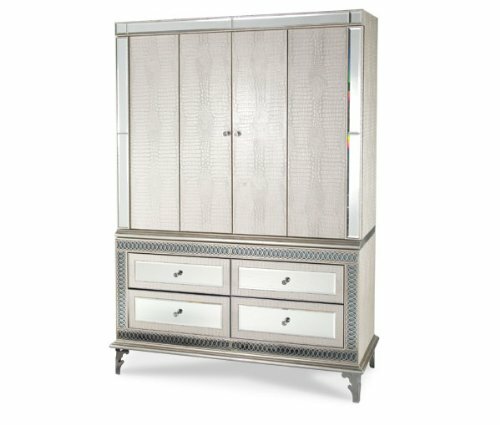 A sleek design makes it easy for this armoire to blend in with any existing design. On top of a large space to store your TV, this item also has two drawers for additional storage. 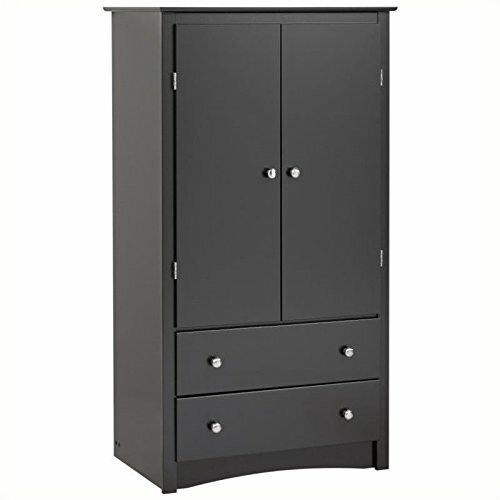 Finding an entertainment armoire that can accommodate a large flat screen TV isn’t always easy. Fortunately, this item can safely hold a TV up to 50 inches. Sometimes its nice to be able to tuck your TV away when it’s not in use. 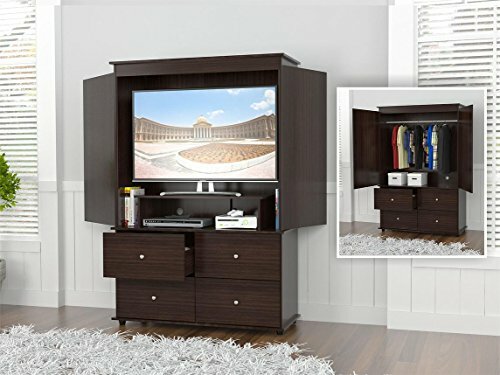 Perfect for bedrooms, this entertainment armoire is ideal for storing your TV along with other items. 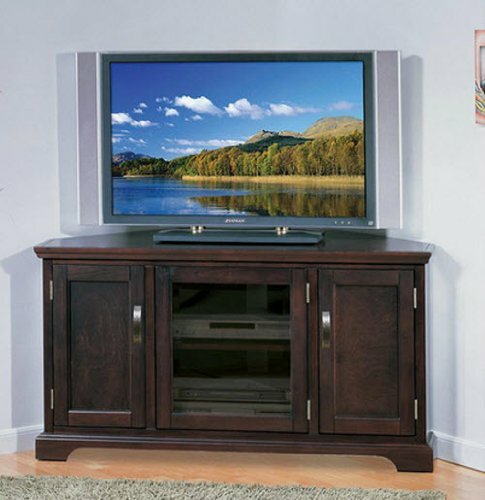 Hand crafted and made to resemble antique style, this entertainment center can look great in a bedroom or living room. 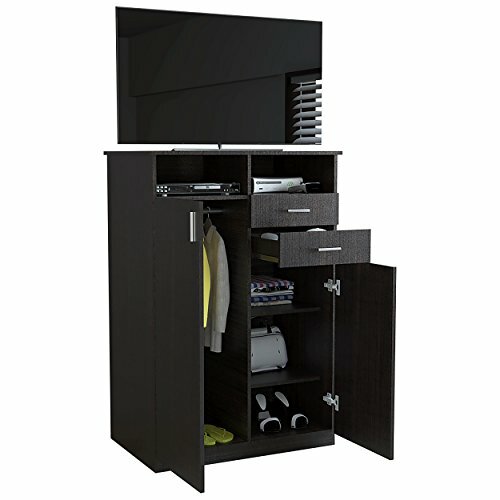 Not only does this entertainment armoire give you a place to put your TV, but it also provides additional closet space. 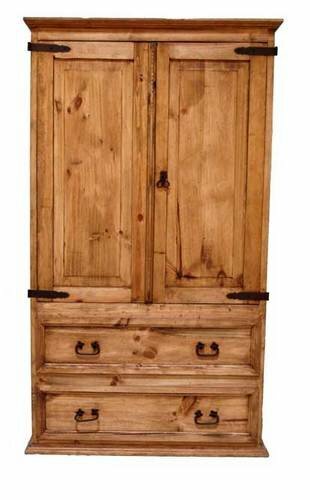 If you’re looking for the perfect TV stand for your bedroom, this rustic armoire could be exactly what you need. 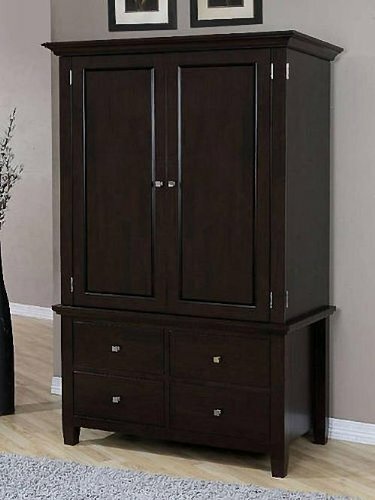 Adjustable shelves give you the flexibility to set up this armoire how you’d like to ensure that you have plenty of room for your TV and other equipment. 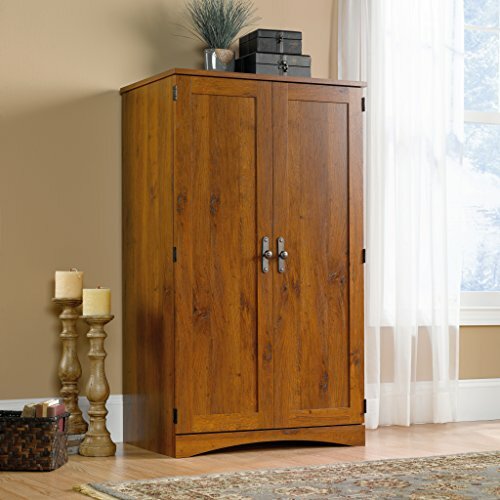 This item can be used as an armoire for your TV or as a traditional armoire for clothing and other accessories.